The scores for Street Runners and Safe Distance are complete, and the two projects are in the final stages of post production. The web series, Street Runners, will stream online, and the short film, Safe Distance, will be ready for viewing on New Bedford, MA cable access in the coming months. Brandon will soon be collaborating again with writer/director Kent Bernhard on a new action short film which is in post production now. "Brandon Moore recognizes that the score is a character in your film, every bit as important as your actors and your lighting. He takes great care to set the tone and fit the mood of each moment of composition expressing truest essence of feeling in each scene." TOY MASTERS AT MONDOCON AUSTIN! Coming up on OCTOBER 3-4 in Austin, TX is MondoCon 2015, a celebration of movies, art, comics, music, toys and food. There will be a FREE daytime screening of TOY MASTERS for anyone attending the convention. The screening will be Saturday the 3rd at 4:00 pm followed by a Q&A with the filmmakers. Brandon's latest film, TOY MASTERS, screened over the weekend at the Egyptian Theater's Mastering The Universe: A He-Man and She-Ra Celebration 2-day convention. After the documentary's screening (its West Coast premiere) Brandon was asked to join a question and answer session by the filmmakers. During the convention there were multiple screenings of He-Man related movies and cartoons as well as appearances from artists, performers, vendors, and filmmakers. Several fans stopped by the Toy Masters booth to share their enthusiasm for the movie! The TOY MASTERS promotional CD with 6 tracks from the score is available in a new link on this website under store. As part of Mastering The Universe: A He-Man and She-Ra Celebration, the American Cinematheque at the Egyptian Theatre (Los Angeles, CA) will be screening the documentary TOY MASTERS on Saturday, September 19. The two-day festival will include a mini-convention of artists and collectors, movie screenings, and special guests. Thursday night Brandon attended the 41st Annual Saturn Awards held at the Castaway in Burbank, California. The event honors the top films and filmmakers of the science fiction, fantasy and horror genres. Highlights of the night included a tribute to 60s sci-fi television with clips from TIME TUNNEL, LAND OF THE GIANTS, and LOST IN SPACE (all with themes composed by Johnny Williams) and the Life Career Award going to Bob Cobert, composer of such classic TV scores and themes as THE WINDS OF WAR, DARK SHADOWS, and Brandon's favorite gameshow theme THE $25,000 PYRAMID. 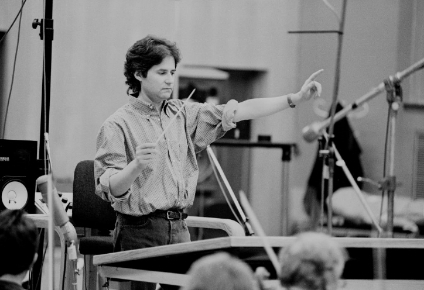 I'm saddened by the tragic sudden loss of James Horner, His music was apart of my childhood growing up. The summer of 1993 was the 10th Anniversary of the release of KRULL and I was in high school marching band. I loved coming home from an exhausting day of rehearsal and rediscovering this science fiction film with an epic Horner score playing on every cable station in those days. WILLOW and THE ROCKETEER were very inspiring scores in the same vein. I remember how excited I was when I found a used LP of BATTLE BEYOND THE STARS which I played endlessly way before it ever showed up on CD. It is sad to think of all the melodically gifted film composers we have lost within the past 15 years. Barry, Bernstein, Goldsmith, Poledouris, Small, Kamen and now James Horner? Hard to believe. He will be greatly missed. THE BIGFOOT HUNTERS Screenings and Awards! Recently THE BIGFOOT HUNTERS has been screening and picking up some awards. The short film has been accepted to Best Shorts Festival. Recently the film received an Award of Merit from The Indie Fest Film Awards. There is a chance to catch a screening at the LA International Underground Film Festival where the film will be in Block 4 on December 7th, starting at 6:15PM-7:45PM. Get tickets here: http://laufilmfest.com/Tickets.html. Catch a sneak preview of TOY MASTERS at Chicago Filmmakers next week! Co-presented with the Chicago Cinema Society, Chicago Filmmakers will be screening the first sneak preview of TOY MASTERS, a documentary that takes a retro look inside Mattel's He-Man and the Masters of the Universe world, cartoon, and the key players involved with creating Mattel's highly successful toy line. "The REAL story behind the greatest toy line every created..."
The final stages of completing the musical score for the TOY MASTERS documentary are underway. 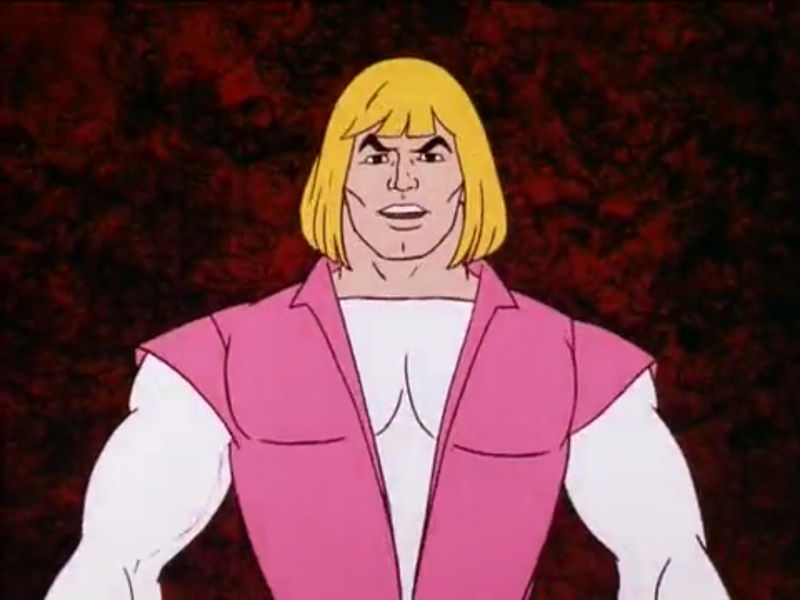 Chances are, if you were a young fantasy nut growing up in the early '80s, you had a collection of Mattel's He-Man and the Masters of the Universe toys piled high in your bedroom, you grooved to the animated Filmation cartoon series, and even waited in line for Cannon’s ill-fated movie version, starring a well-oiled Dolph Lundgren. TOY MASTERS goes behind the scenes and divulges in fascinating, hilarious, and revealing detail a decades-old rivalry and bitter clash over credit between several former Mattel employees, each of whom claim to be responsible for creating these beloved characters and product line. 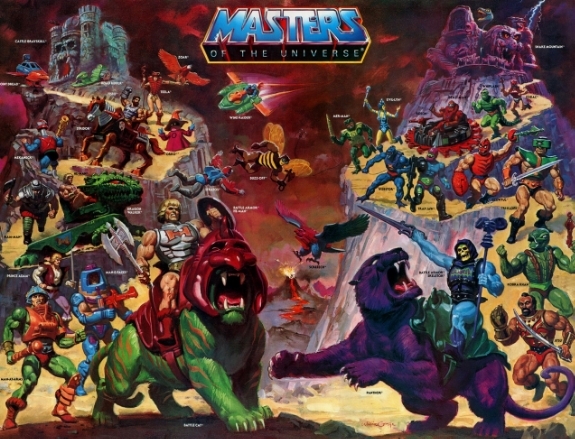 Childhood He-Man fans-turned-filmmakers Roger Lay, Jr. and Corey Landis set out to track down every single player in the development and production of the mega-selling toy line in order to get to the bottom of this story. Along the way, they interview the key creative personnel behind every version of those action figures and all other incarnations of Masters of the Universe including such genre luminaries as J. Michael Straczyski (Babylon 5), FX Oscar-winner Richard Edlund (Star Wars), movie concept artist William Stout (Conan the Barbarian), Filmation co-founder Lou Scheimer, Masters of the Universe movie director Gary Goddard, the animated show’s key voice cast, and many others. TOY MASTERS reveals that the fight for the universe pales in comparison to the one waged for creative acknowledgment. 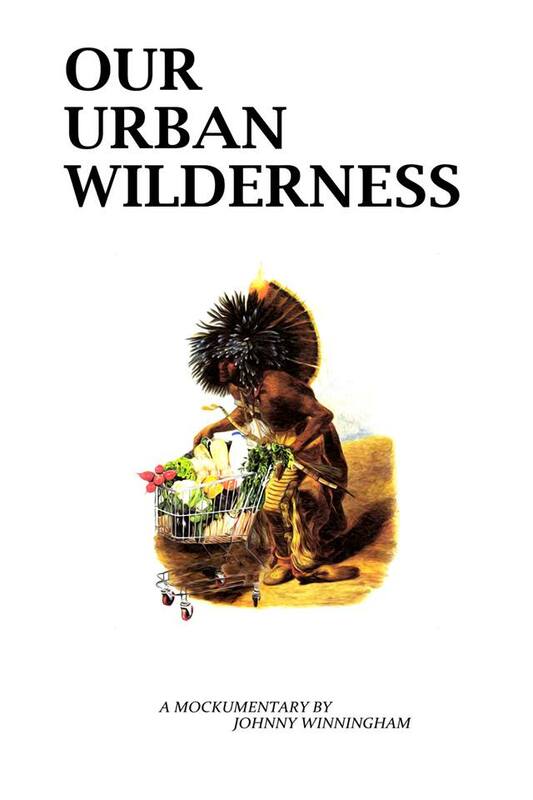 Come watch a screening of OUR URBAN WILDERNESS at the L.A. Comedy Shorts Film Festival! OUR URBAN WILDERNESS will be included in Film Block "One-der Woman" at 2:30 PM on Friday, May 16th at the Downtown Independent Theater! Visit lacomedyshorts.com for more information. OUR URBAN WILDERNESS, a new mockumentary with original music by me, took home the Best Creative Short Film Award at the Columbia Gorge International Film Festival this past weekend. The film is a rewriting of American history telling the story of a true national icon, the North American shopping cart, from prehistory to present modern day. Congratulations to director Johnny Winningham! 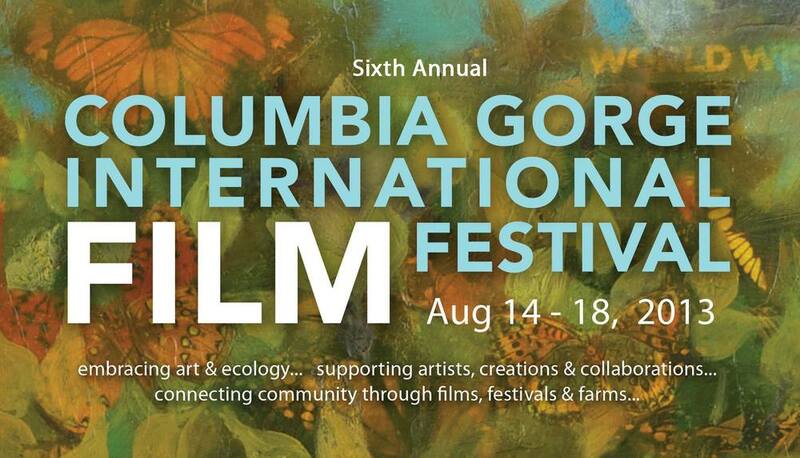 OUR URBAN WILDERNESS, a new mockumentary with original music by me, will be playing at the Columbia Gorge International Film Festival on Sunday, August 18th, NOON, at the Vancouver Library, 901 C Street, Vancouver, Washington. The music was originally composed for a radio play, also directed by Johnny Winningham, but now has found a permanent home in this funny new film. I'm excited the music will finally be heard at last. Now live on Hulu.com is a new webseries I scored called KILLER SISTERS' MIDNIGHT HOUR, written and directed by Mike Williamson. From the director... "It's old school "Horror Host", meets "DINNER AND A MOVIE", meets "AMAZON WOMEN ON THE MOON" where we have fictional "hosts" watching digest versions of horror features from the BLOODY DISGUSTING SELECTS series." I wrote the score for these dueling sisters. It's goofy fun for the attention-challenged online audience of today serving them up a feature film and original skits in an hour long format. The series was produced by THE COLLECTIVE ("V/H/S" anthology film, in theatres now). For the score I went in a 'BURBS and TALES FROM THE CRYPT direction which was tons of fun. I'll have audio clips of the music up soon! The show is streaming now on HULU so check it out. It's four 1 hr long episodes. 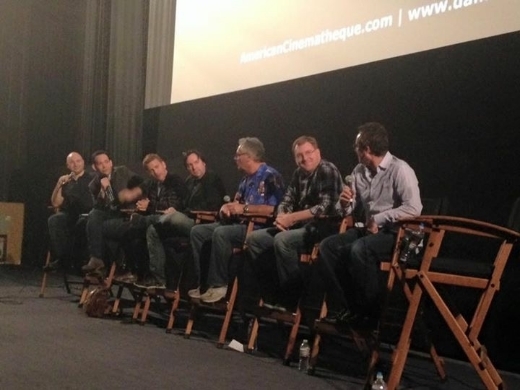 The HE-MAN documentary Toy Masters had a sneak peek premiere at Fantasia Fest 2012 in Montreal in August. The film is still in post with original score soon to come but good reviews are already coming in from Film Threat, etc. In good news, my score to The Table turned out to be a finalist at the Park City Film Music Festival. I want to thank Leslie Harlow and the team at PCFMF for making me feel welcomed and putting on another great festival. 9 years! I hope to make it to the 10th next year. First Place for Best Impact of Music in a Documentary: Composer Joel Douek for "Flying Monsters 3D"
I wanted to post my appreciation and memory of Ray Bradbury today on news of his passing. I'll never forget when I was asked to write music for a short film the summer of 2000. I had just made a permanent move to Los Angeles, and being fresh out of school, I advertised myself as a composer looking to collaborate with filmmakers. I was fortunate to meet my director friend Roger Lay who presented me with his short film called Homecoming. It was based on Bradbury's short story "The Lake" from his bookThe October Country. Homecoming became the first of three films based on Bradbury's great writing that Roger and I collaborated on and that I had the pleasure of writing music for. We collaborated on these quality stories within the first few years of living in Hollywood which was exciting and gave us a lot of encouragement. The second film I worked on was A Piece of Wood, a short from Long After Midnight. It was shot on 35mm, our first indie short and a bit longer (it was a perfect Twilight Zone or Amazing Stories type of project). The latest (and hopefully not the last) was Chrysalis, a short story from his book S is for Space, where we were able to get a music budget and make a feature length version of Bradbury's work for the first time. DuringChrysalis Roger worked closely with the man himself, adapting his story into a screenplay. 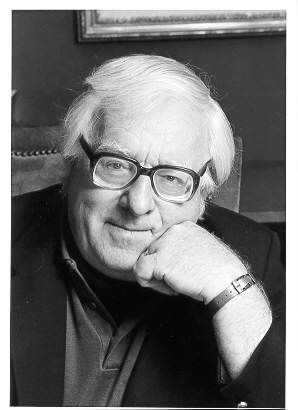 I was lucky enough to meet Mr. Bradbury a couple of times. In fact, I'll never forget the time I attended a stage production of Fahrenheit 451 in Pasadena with him sitting directly in front of me in the audience. What impressed me the most was how each ending of a Ray Bradbury story was so inspiring and stayed in your mind long after reading or watching it unfold. Thank you Mr. Bradbury for the inspiration. We will miss you. 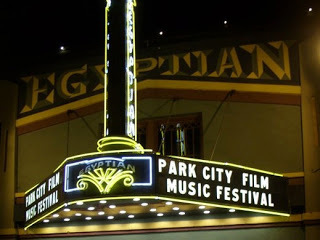 The Table is now scheduled to screen at this year's Park City Film Music Festival in Park City, UT. The documentary will screen on Monday, May 28th at 7pm and Wednesday, May 30th at 5:45 pm. I will be there for the first screening and looking forward to spending my Memorial weekend up in Utah. THE TABLE documentary I scored is now a featured exclusive available to rent on Prescreen.com. It will be available for about two months then we move to Netflix, itunes etc. Watch it now and stay tuned for more info. 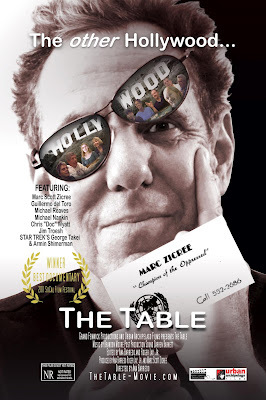 The documentary I scored called THE TABLE has been selected for the LA United Film Festival. It will screen on April 30th at 7pm in Los Angeles. The United Film Festival was voted as one of the 25 coolest film festivals by Moviemaker Magazine.